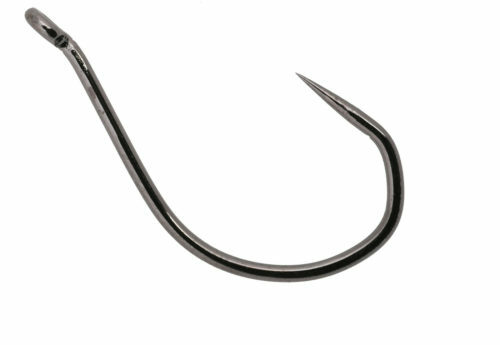 The ideal hook for baiting up roe berries for steelhead in the streams, or for rigging cut herring and trolling or mooching for salmon in salt water. Also excellent for baiting walleye, bass, tarpon and other inshore species. Features include up-eye forged shank and reversed-bend point. Available in BLACK CHROME and RED finishes.